Kitchen details the story of an orphaned young woman who loses her grandmother, then goes to live with a young man and his transgender mother. 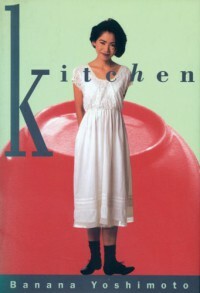 Mikage measures comfort by the state of a person's kitchen, her favorite room in any room, and comes to help her friend in times of need - and in turn helping herself. Moonlight Shadow is about a young girl mourning the loss of her boyfriend, who longs for closure. An encounter with a stranger helps her toward that wish. Both stories are written simply, as another reviewer here describes as minimalism. I have only read one other Japanese writer (Kazuo Ishiguro), but this is my first translated work. I liked it, but did require some time to take it all in.